This course is one of a range of courses offered by Pitman Training on communications this focuses specifically on internal and external communications, information flows within organisations and using data effectively. If you have management responsibilities and / or a role that includes knowledge management or internal and external communications, then this course will help you harness information effectively. The course is highly practical in nature it is structured to help you in your role and includes a planning information exercise that you can apply directly to the workplace. What’s more, our online system will help you track your progress and take you straight back to where you left off, as well as help build your motivation. There is also a generous six-month window to complete the programme. You dont need to load software onto your computer and youll need broadband, plus Microsoft Word 97 or above (or a word-processing program fully compatible with Word). 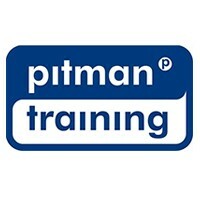 On completing the course, you will have earned a highly regarded Pitman Training Certificate. Pitman Training certification is widely recognised by employers throughout Ireland and the UK where we have achieved Business Superbrand status. Carear Path Communications are vital for anyone working in an organisation but more so in key liaison positions such as Reception, PA, Team Leader and Manager roles. Gaining proven certifications in essential skill areas such as this will enhance your promotion prospects and keep your career progression on track.